This month is offering some new releases and some new faves. Here we go! 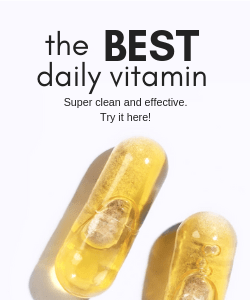 Daily Skin Nutrition 50ml ($80) – This light lotion is an everyday moisturizer formulated with squalane, rosehip seed, olive and avocado oils to nourish while vitamin C and hyaluronic acid brighten and plump. Daily Vitamin Infusion 30ml ($65) – This is a serum treatment you wear under your daily moisturizer. It’s designed to optimize skin’s moisture levels and barrier function AND even skin tone. Rosehip Cleanser15ml ($5) – A mild cleanser with a light lather. This is great to use after taking off your makeup – leaves skin soft, not stripped. 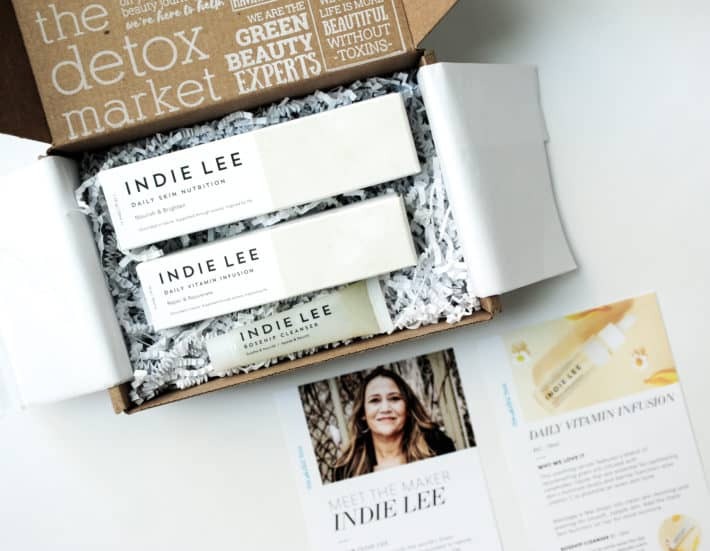 Try the April Detox Box here! Petit Vour is new to my roundups. I love this box because it’s fun and you get to try a lot for a little. This is how it works: Set your profile so each box it tailored to your preferences. Every month, you’ll receive 4 products valued between $45-$60. 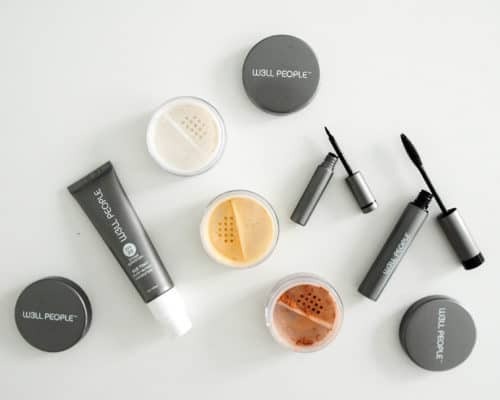 Enjoy a mix of makeup, hair care, body & skincare curated to match your beauty profile. This subscription is $18/month (cancel anytime) or $15/month if you pay up front for a year in full. Caley Cosmetics Beach Babe Natural Brows, full size, $14 – I got the color Brunette but now that I have gray hair, I wondering if Dark would be a better match. This is a soft pencil with even color transfer. EIR NYC Active Face Wash, full size, $20 – A foaming cleanser made with African Black Soap designed to minimize scaring and reduce breakouts. 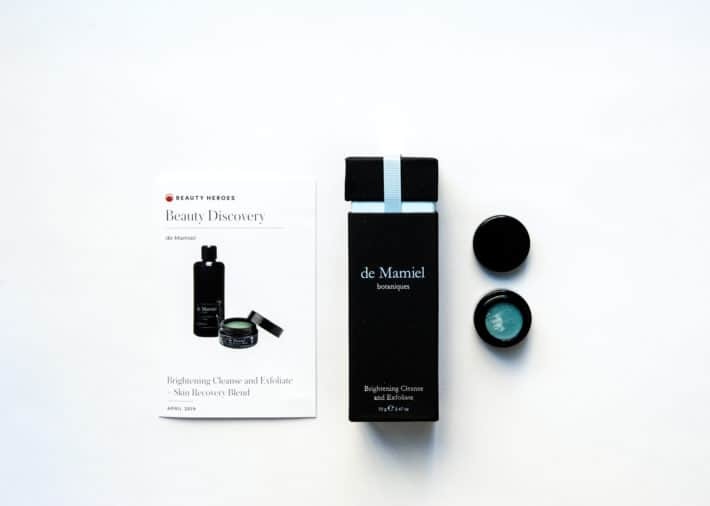 BLISSOMA Refine Clay Renewal Treatment Mask, deluxe size, $10 – A clay based mask designed to detox skin and draw out impurities. You can even use this as a spot treatment overnight. Juice Beauty Antioxidant Serum, sample size, $6 – Like a daily vitamin for your skin. Designed to be used after cleansing and before moisturizer. Try this month’s Petit Vour here! 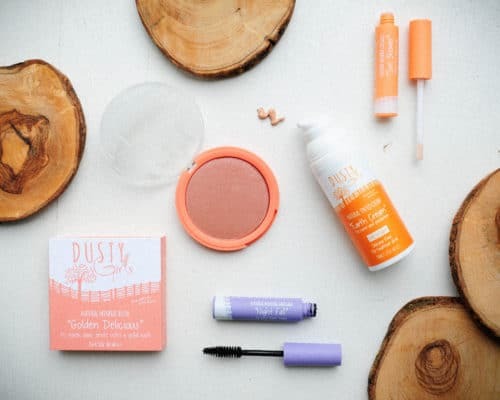 This month’s Clean Beauty Box is dubbed “Balance” and offers $112 worth of Wabi-Sabi for $41.95 with a two month commitment. Grab it here! 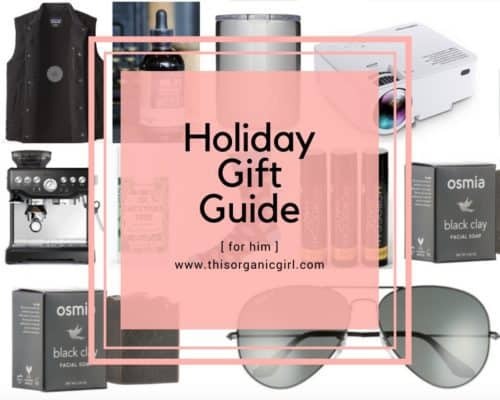 The GIVER Illuminate Ritual Cleanser & Makeup Dissolver ($60) – This oil cleanser boasts rich aromas of espresso and cherry. It is viscous in nature and this thicker oil works to dissolve makeup and daily grime. Balancing Act Crystal Rollerball Intensif Serum No. 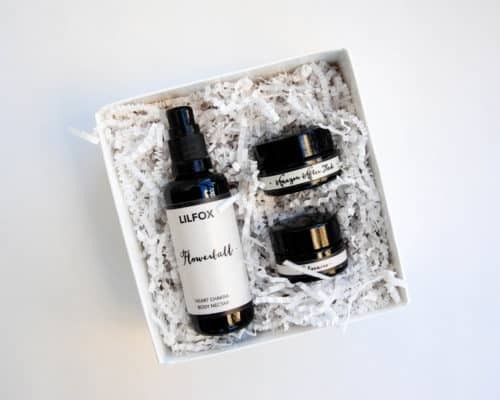 2 ($52) – This face oil is designed to balance combination and oily prone skin. It can be a great choice for sensitive skin too because it has NO added essential oils or fragrance. 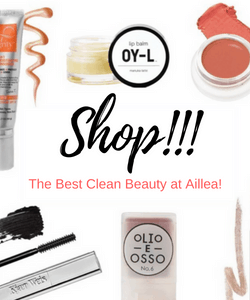 Grab this month’s Clean Beauty Box here! Hero: Brightening Cleanse and Exfoliate, $70 (full size) “The ultimate skin fix-it”! This is a cleanser/booster/scrub and mask all in one. It comes dry and you shake a bit out into your hand and add a few drops of water to activate. 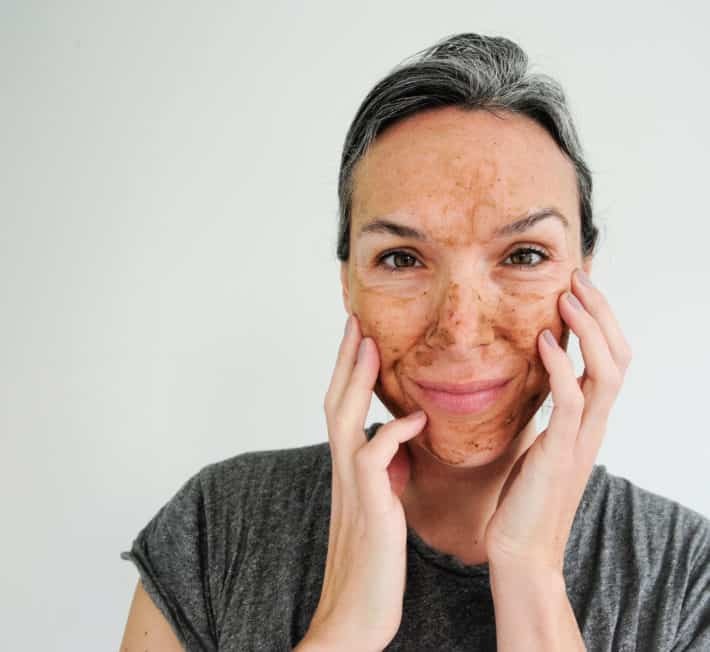 Apply and work into the skin to cleanse, exfoliate and nourish AND/OR leave it on for a bit as a mask for an even greater effect before rinsing off. 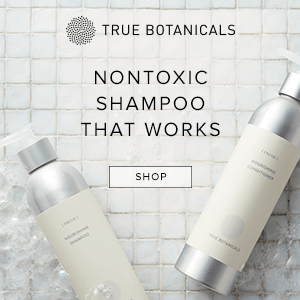 Super fine granules of white clay and colloidal oats are blended with calming and brightening botanicals including chrysanthemum, gotu kola, ginseng, calendula and chamomile. Play with how much water you need to turn this powerhouse into a real life glow-getter. This leaves my skin glowing, fresh, smooth, taught and clean (but not dry). You can really feel a difference. Not to mention it smells like vanilla, smoke, cacao….like an earthy hot chocolate – MMMM! This pressed serum melts into skin on contact and leaves skin feeling nourished, plump, full and protected. I’m so glad we get to try this gem as this month’s sidekick! 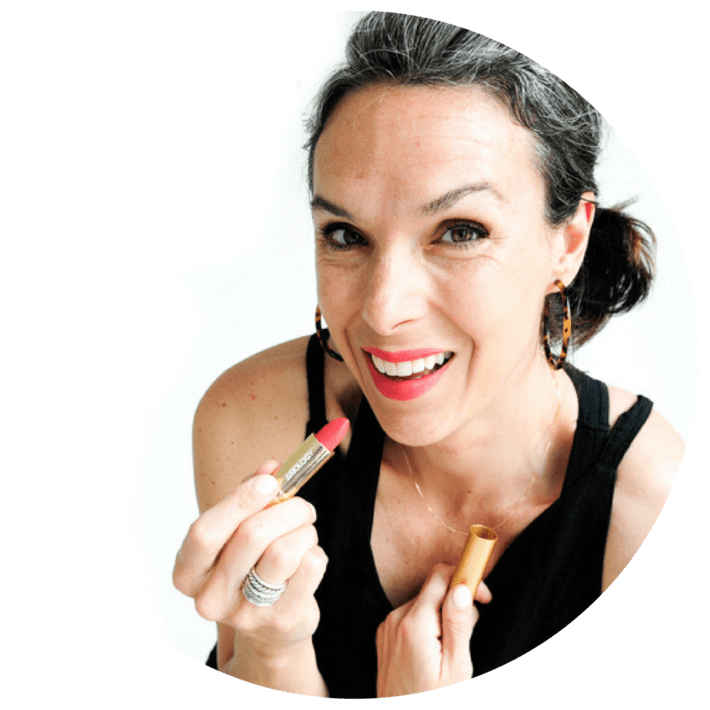 Another fantastic month for Beauty Heroes! 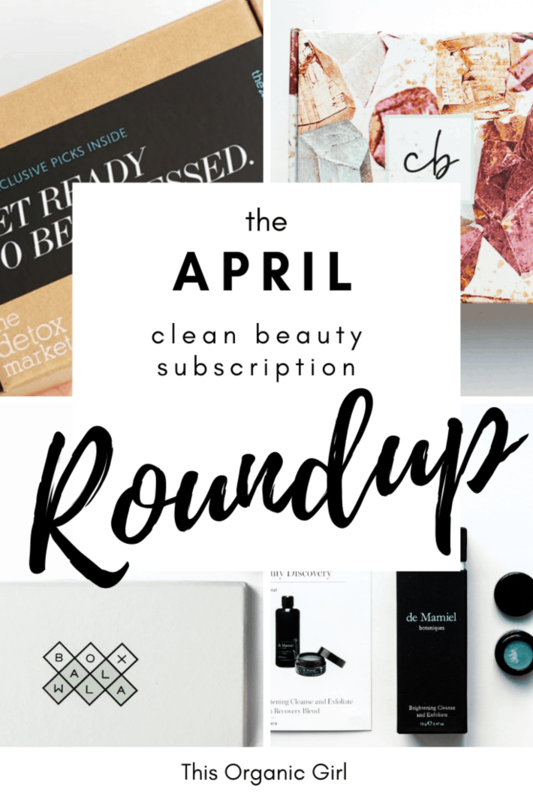 Try this month’s Beauty Hereos here! 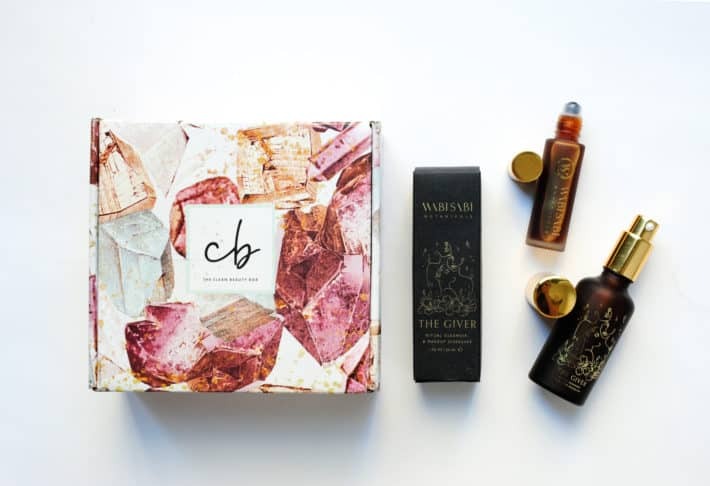 The April Boxwalla is a $160 value, available for $49.95 – no commitment meaning you are required to sign up for a subscription but you can cancel it anytime. This box will be available to order through 4/10. So excited for Boxwalla’s April box. This month we are seeing two brands. I’ve used both of these a couple of times already and I AM LOVING THEM! 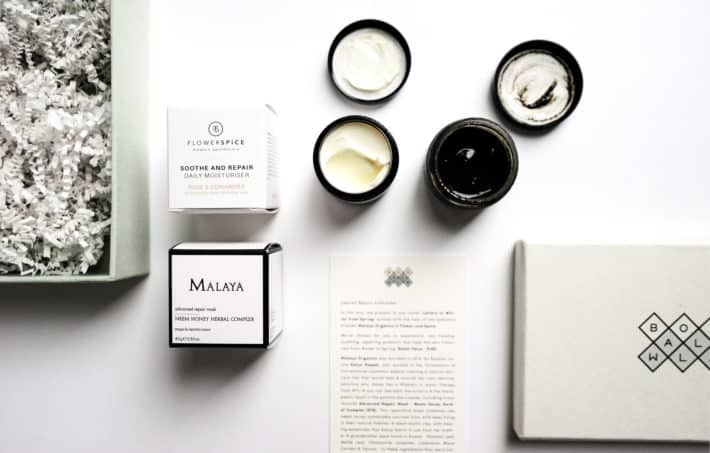 Malaya Organics Advanced Repair Mask – Neem Honey Herbal Complex, $78 – A micro-gritty honey-based mask, Advanced Repair works to brighten, rejuvenate, smooth and bring on the glow – and it really does! Easy to apply and smells amazing. Leave it on for 15-20 minutes and rub in circles with warm water to remove for a light exfoliation. 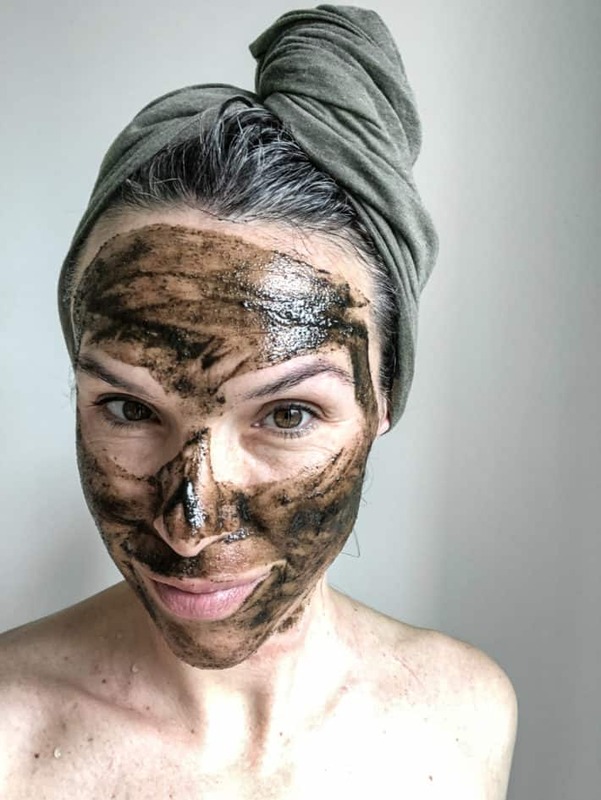 Malaya Organics founder Katya Slepack uses wild neem honey, black kaolin clay and healing botanicals that Katya learned to use from her mother and grandmother growing up in Russia like plantain leaf, nettle, chamomile, lavender, calendula, black currant and yarrow. It also includes antioxidant Broccoli Seed oil, antibacterial Colloidal Silver and Soothing blue Tansy. 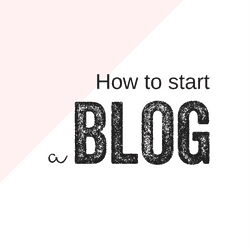 I am loving this formula! 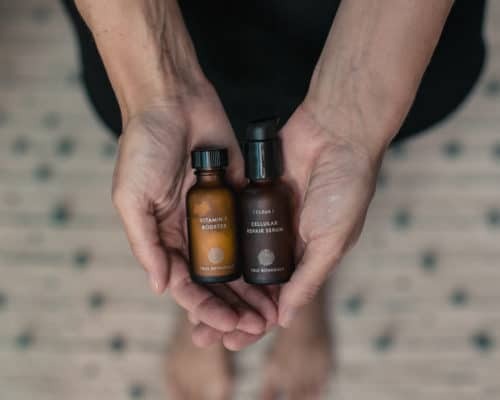 Flower and Spice – Soothe and Repair Daily Moisturizer, $82 – This line is new as of 2018 and is inspired by the flowers that abound Holland as well as the spices, founder Karmen Novak learned to cook with. This is a rich cream that dries almost mat but not. My skin feels full and plump and weightless after applying. I am loving this for both day and night as a last layer over my serums. 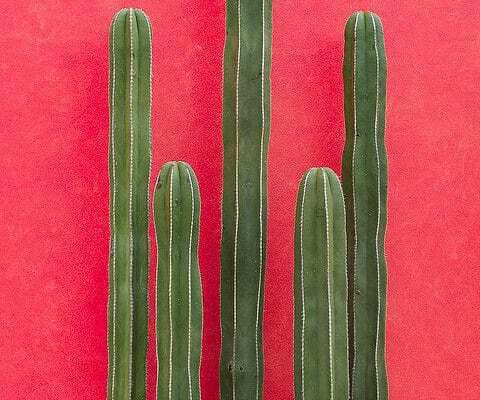 This moisturizer contains rosewater and rose absolute, antibacterial and anti-inflammatory coriander seed oil, soothing and hydrating aloe vera, reparative arctic oat extract and antioxidant-rich prickly pear.